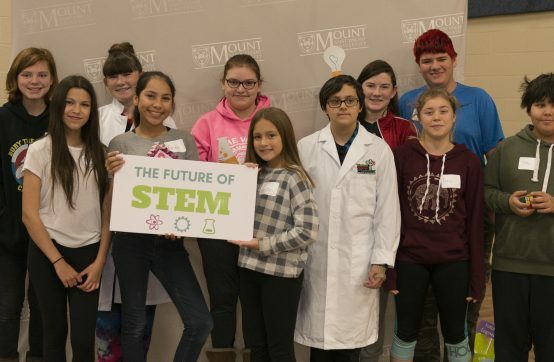 WISEatlantic and the Community SciMath Program at Mount Saint Vincent University hosted the first STEMaware event at the Mount on October 18th. 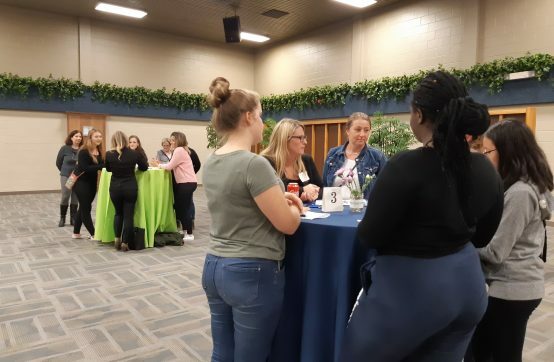 This event brought together High School girls in grades 9-12 with current Mount BSc students who had the opportunity to chat informally with Mount BSc Alumnae. 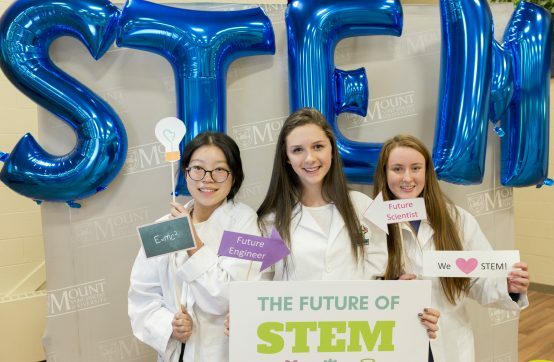 Prior to the students meeting Alumnae, Career Services at the Mount held a session for both High School students and Mount students that discussed STEM careers, the importance of networking, and preparing students with questions they could ask the alumnae. Alumnae shared their current careers with students and how a degree in Science benefited their career paths. Thanks to everyone who came out for a great event, especially all our Mount Alumnae! 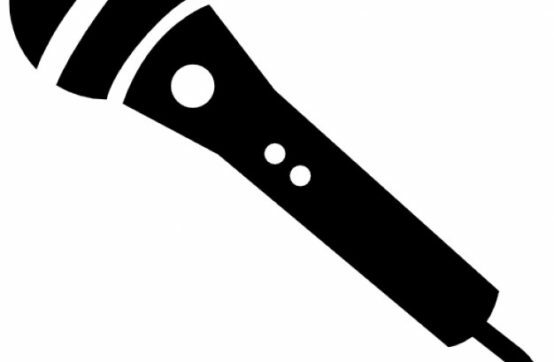 Click here for more info on the Community SciMath Program! WISEatlantic was pleased to host a workshop and a booth for the March 3, 2017 Girls Conference at Mount Saint Vincent University. This conference is a yearly event run by the Alexa McDonough Institute for Women, Gender and Social Justice. 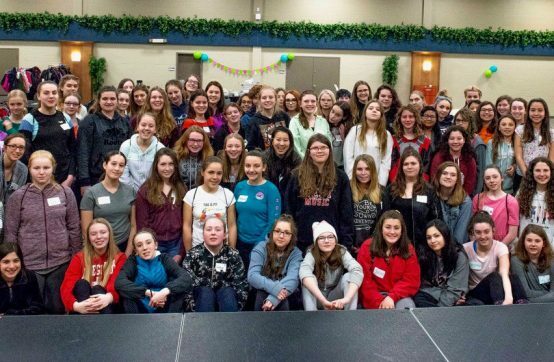 High school girls from across the province participated in the Girls Conference which featured various workshops which included confidence building, leadership skills, personal and professional growth, etc. and also a keynote address by Reeny Smith. 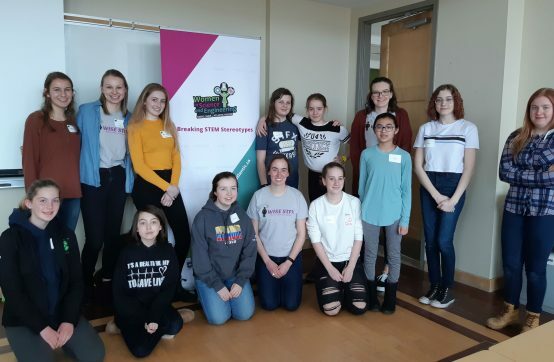 WISEatlantic’s workshop Be Inspired: Discover Exciting Careers featured a panel of six female role models who work in a variety of STEM careers. The workshop, which was sponsored by J.D. Irving Limited, was well-received by the over 35 participants present. 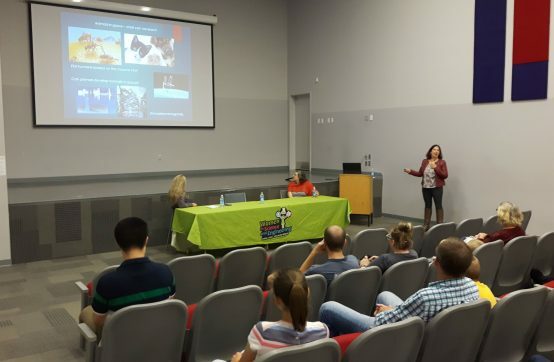 Following the release of our survey "Career Choices and Influencers in STEM: an analysis in the Maritime Provinces" in 2014, Dr. Franz-Odendaal was interviewed by CBC Mainstream, the Rick Howe Show, Daily Commercial News, and the National to discuss the results. Read the 2014 report here, and the 2016 survey results here.